There are few things that we insist our children and teens attend beyond their favorite movies, sports, and malls. That’s a shame because there are experiences they should have that can spark their inner souls and spirits. I have something you should insist on bringing your children and teens to and it requires nothing but a promise of dinner to follow. On Friday evening, 6:30pm in the sanctuary at Congregation Beth Israel, a must-see, must-hear event is taking place. 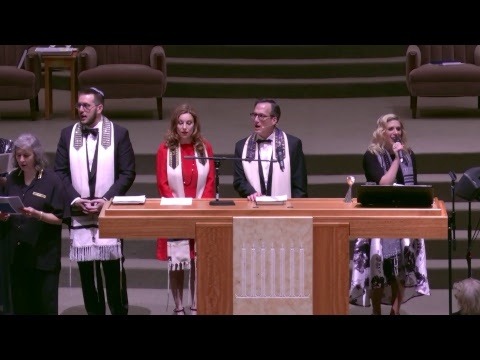 A musical Shabbat dedicated to the music of Debbie Friedman. She was the leading innovator of contemporary Jewish liturgical and pop music who also modeled Jewish music for generations. Jewish musicians even your kids can name wouldn’t be where they are doing what they’re doing were it not for the groundbreaking soulful contributions of music and lyrics that Debbie created. A gifted, dynamic, soul searching, and spirit lifting individual, Debbie’s music inspired your rabbis and cantor, too. To complement the music, Rabbi David Ellenson, PhD, former President of HUC-JIR, our Reform seminary and currently its Chancellor, will speak on “Miriam, Debbie Friedman and the Voices of Women in Prayer”. Cantor Dan Mutlu will put a unique spotlight on Debbie’s music and lift our souls and our spirits as we “Sing Unto God” a new song. This is it! Bring your children, your teens, and your friends. I’m not encouraging you because I’m concerned about attendance. Thankfully, I don’t have to worry about attendance at our synagogue services. I urge you to come because this one’s important and your children shouldn’t miss it. Neither should you. See you there and come expecting the unexpected with joy on Shabbat at Congregation Beth Israel.